Vitold is the CPO for the America’s region for Capgemini (an information services company based out of Paris) and is quickly becoming my favourite Frenchman. 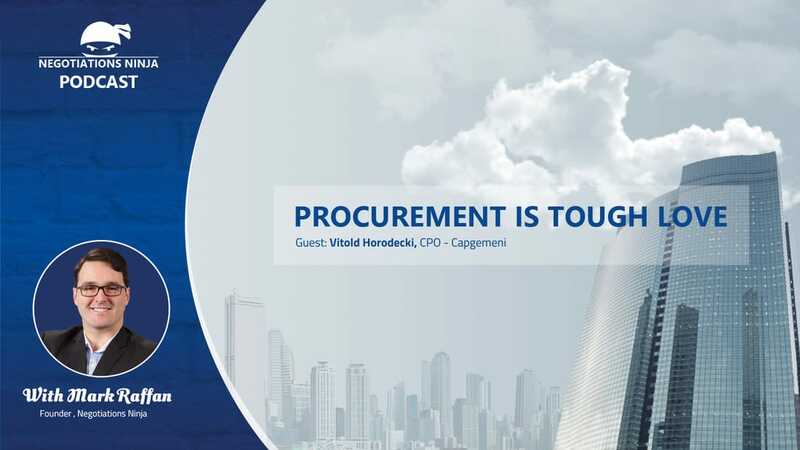 Our conversation was focused around the pace of change in technology, and what’s required from a procurement and negotiations point of view to keep pace with that change. I’m excited that I was able to get this interview with Vitold as it ties in nicely to the conversation that I had with Howard Richman. His cool French accent may be my favourite part of this whole interview.